When a person sacrifices their time to do something for you, good etiquette demands that you thank them. When you say thank you to someone else, that person will know just how much you appreciate them. Eventually, it improves social relationships and creates a bond. When a bond is created between two people, then when in need the other person will be willing to provide further assistance. The idea of saying thank you either just through words, a gift or a certificate, motivates a person to help you in the future. 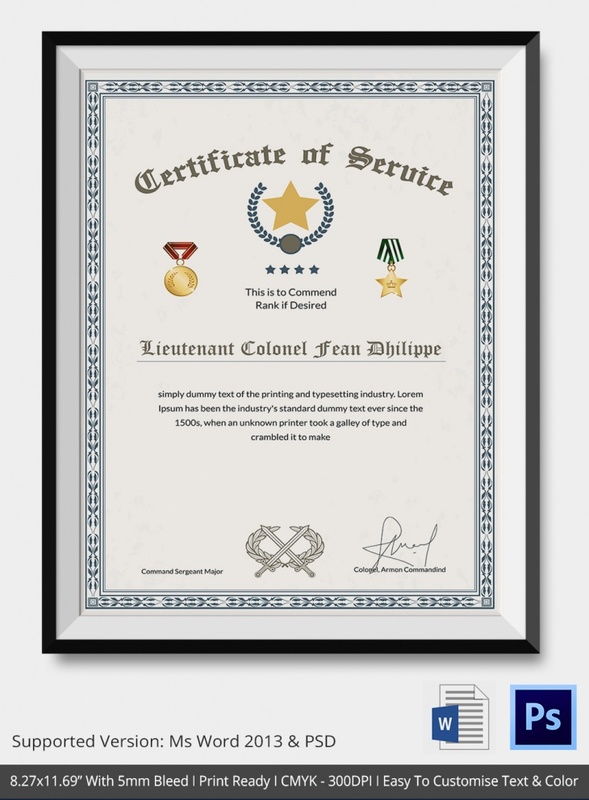 This template is ideal for an individual who have served in the military such as Marine Corps and Air force. You can also use this template to appreciate an individual who heads a battalion or a brigade combat team for putting themselves in the line of danger in order to keep everyone else safe. A school bus driver does an important job of ensuring that kids reach school and home on time. 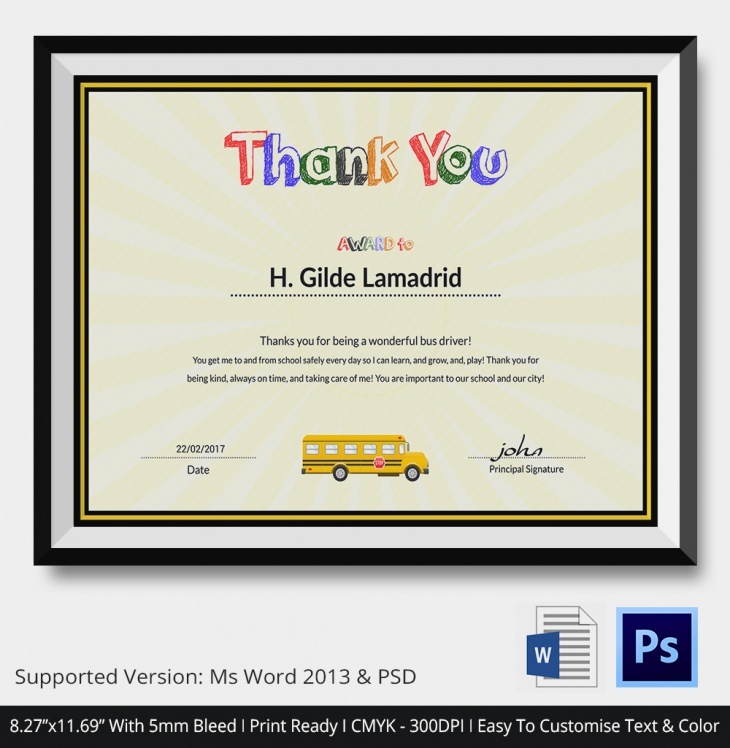 A principal or head teacher can use this template to show appreciation to a daycare or school bus driver for their patient with kids and ensuring that all bus passengers reach their destination safely. A chef usually does the job of preparing good tasting food in a restaurant. 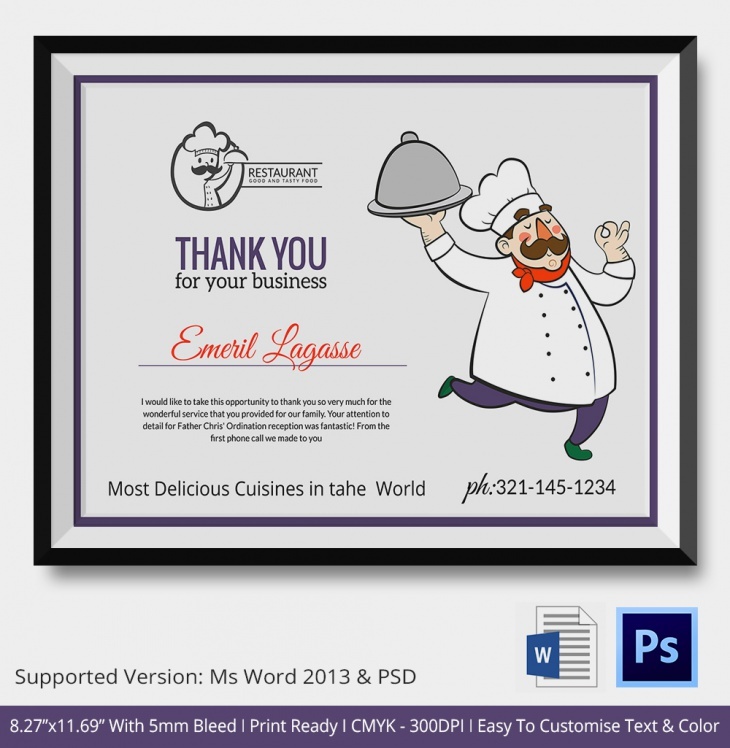 Wedded couples, event organizer and owner of a restaurant can use this template to thank a chef for their unique culinary service or for ensuring that the food met the required standards. Managers or CEO can use this template to thank an employee who has been loyal to the company for a very long time. This template will help employees to continue to be loyal as well as feel they are part of the organization. 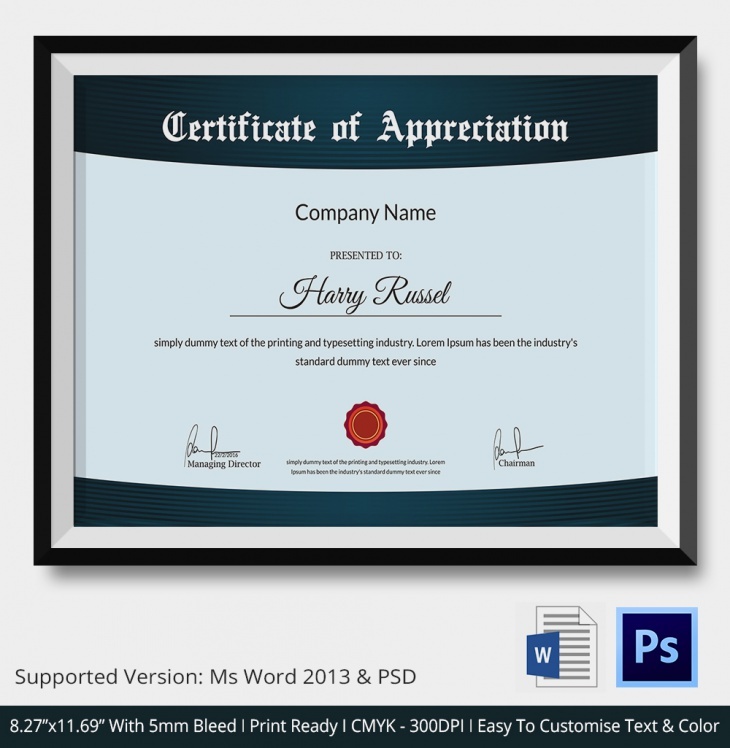 A manager or Head of Department can prevent employees from feeling under-appreciated by giving them a thank you certificate. 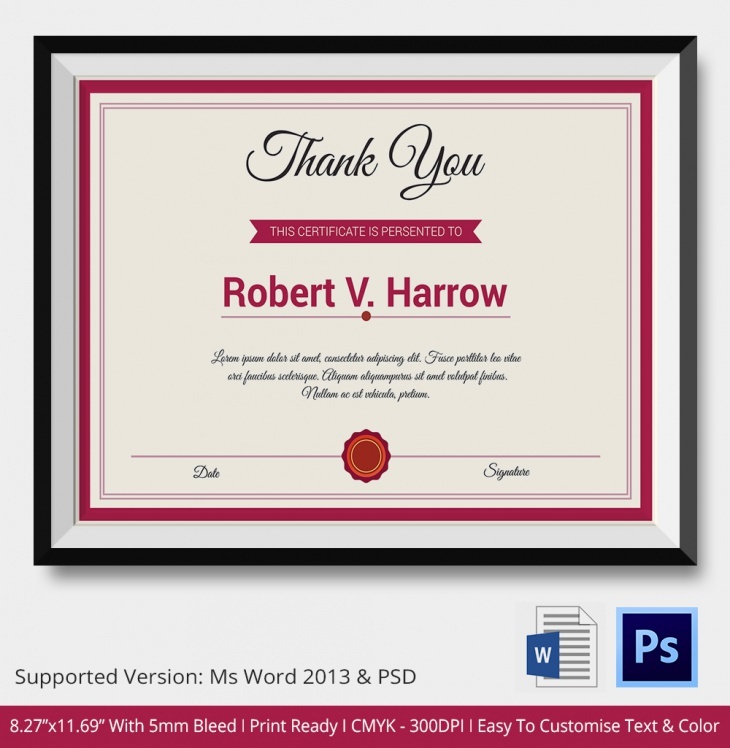 Team leaders can also use this template to acknowledge employees who have gone above and beyond in their duties. Employees need praise for their contribution in the workplace. This template acts as a physical reminder of a good job done. The owner of a company can use this template to empower hardworking employees and create a positive mood in the work environment. When an employee meets set goals, then the best way for a manager to reward him or her is with a certificate of achievement. This template will not only boost their morale but also motivate them to work even harder. One way for camp owners to make kids love a campsite is to issue them with a thank you certificate. This template is a gesture of appreciating them for spending their free time in the camp as well as ensuring that they always remember the time they had at this particular camp. 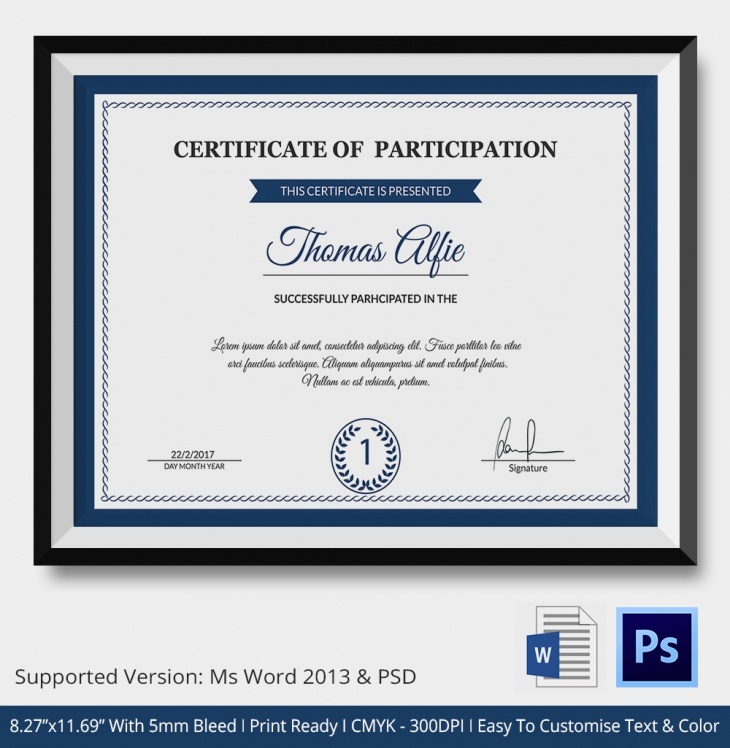 The easiest way for team leaders to make a person feel valued for work done especially when in a group is to give each person a participation thank you Certificate. 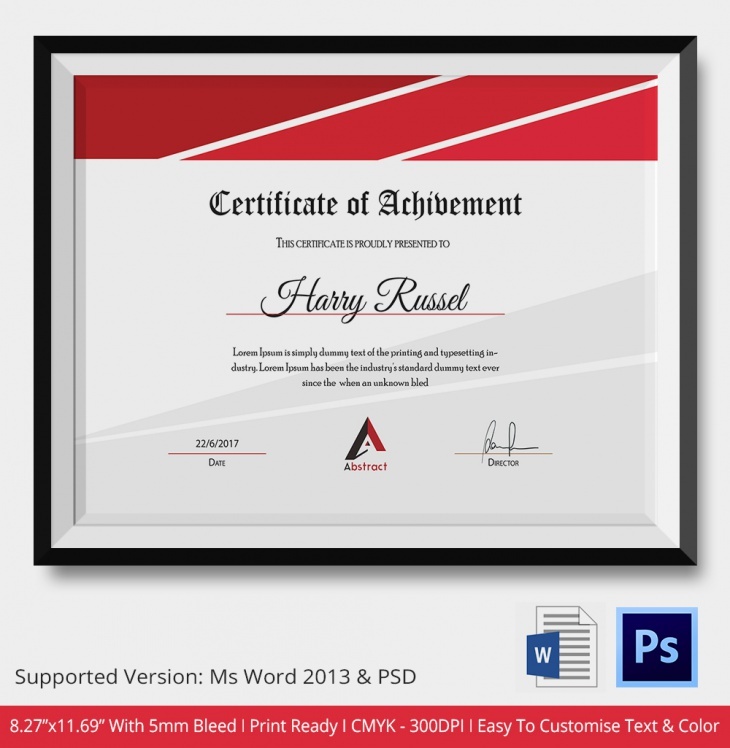 This template is also great for an individual who participates in a race, project or community work. 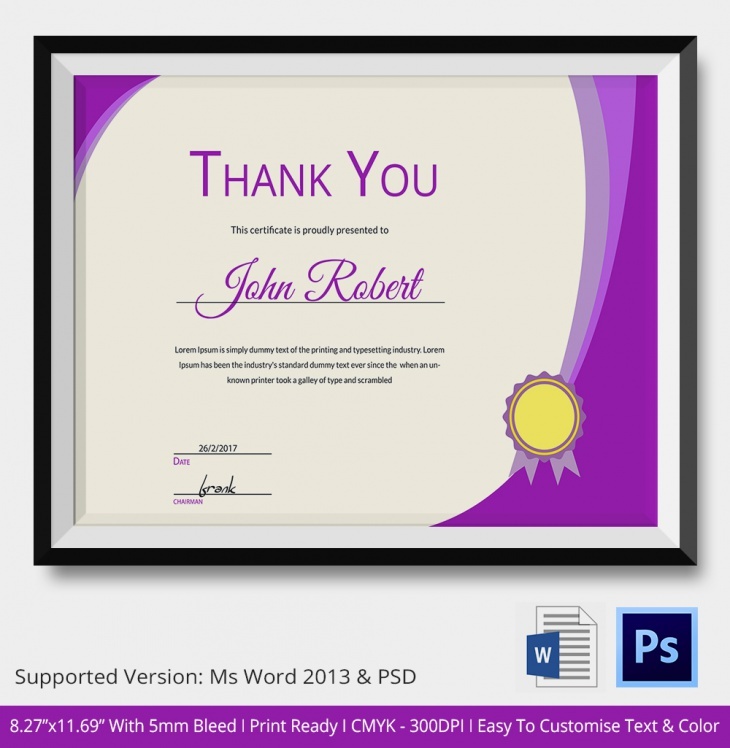 A thank you template works to help people feel needed and socially valued. This action reassures the helper they have done a good job, so it not only boosts their self-estimate but also motivates them to help more often. Thank you templates are perfect because they are a physical reminder that an individual is doing a good job. Praise is also important to any organization because it boosts employee’s morale, makes those particular employees role models and motivates them to work harder. It reinforces good behavior and increases productivity. So, a simple thank you sets a high standard for other people to follow, builds teamwork, strengthens a bond between people and in the end it helps a person to feel valued.